Does your executor know how to find the things you've hidden? When it's time to wind up your estate, your executor will need to find information and items that may be hidden or locked away: everything from your safe deposit box to a home alarm. You can provide essential directions for your executor for each locked place, login, or security measure. Here are some tips to get you started. locked boxes, drawers, or cabinets. For each item, note passwords, combinations, or the locations of keys. If you have a safe deposit box, you'll want to be certain that your executor knows where it is. But you should also think carefully about what you put in your box. Your executor may not have access to the box immediately after your death, so it's usually not the best place to store information your executor will need right away, such as your wishes for burial or cremation, or your will. a brief description of what the box contains. other information known only to you -- such as special recipes or a map to buried treasure. Describe each item, its location, and the location of any documents related to the item -- such as appraisal records or a storage agreement. If you're like a lot of people, you probably have more user names and passwords than you can remember. Get them organized and in a place that someone you trust can accesss. Learn more about safeguarding digital assets. You can keep this sensitive information away from prying eyes by making sure that only your executor and others you choose will have access to it. Store your list of protected products, services, and places in a secure location, such as a waterproof, fireproof home safe. Then be certain to tell your executor -- and any other loved ones who may need the information to care for you or your property -- how to get to it. Erase sensitive information. If you make your list of passwords and other information on a computer, remember to delete the files from your hard drive when you're finished. You can store the list on a disk or CD that you keep with the list itself. Remember to update your information periodically, listing new protected products, services, or places, and noting any changes to existing arrangements. 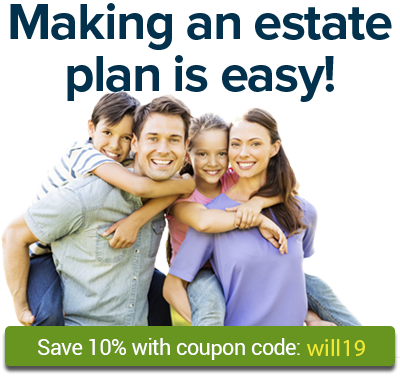 For other tips on making your estate plan easier to carry out, see Practical Estate Planning: Organize Your Documents. To help you organize your important information, and for additional tips on using safe deposit boxes, you can turn to Nolo's Get It Together: Organize Your Records So Your Family Won't Have To, by Melanie Cullen with Shae Irving. This workbook with CD-ROM provides a complete system for documenting information for your executor and other loved ones.